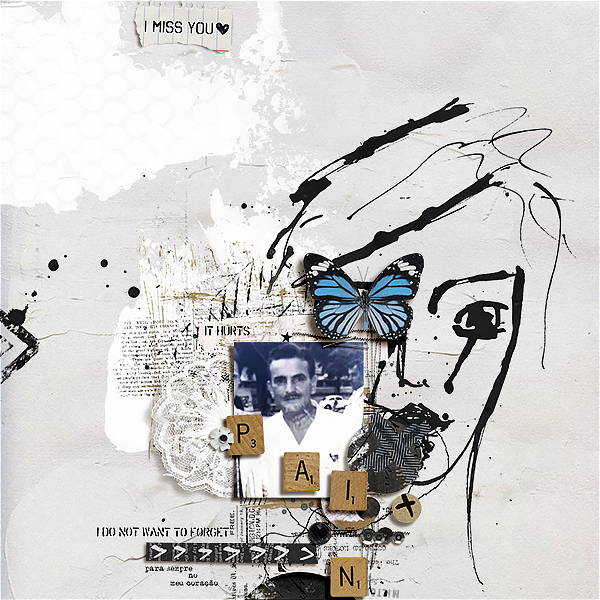 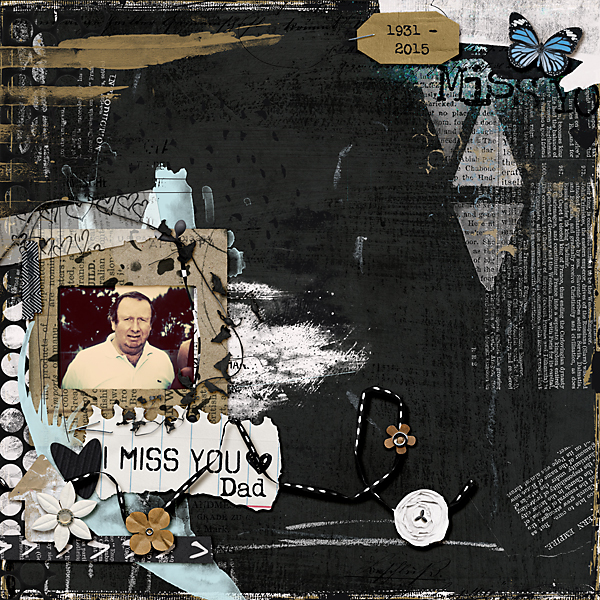 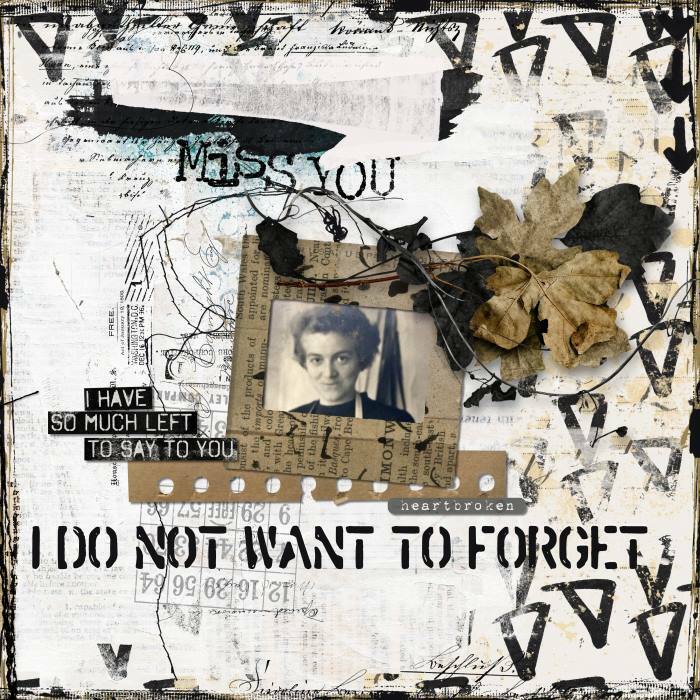 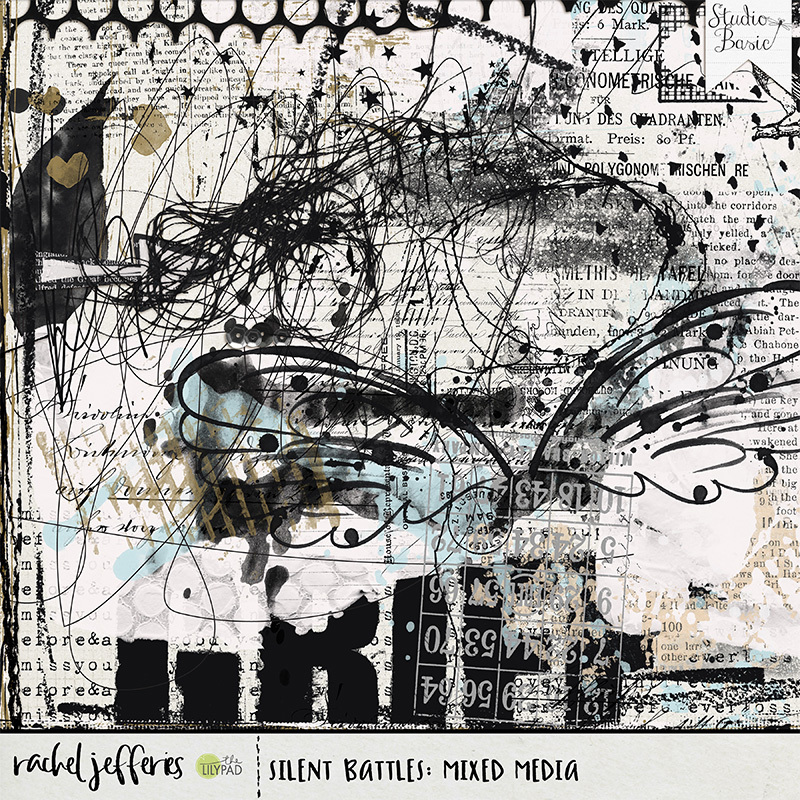 A mixed media digital scrapbooking collection by Rachel Jefferies and Studio Basic Designs. 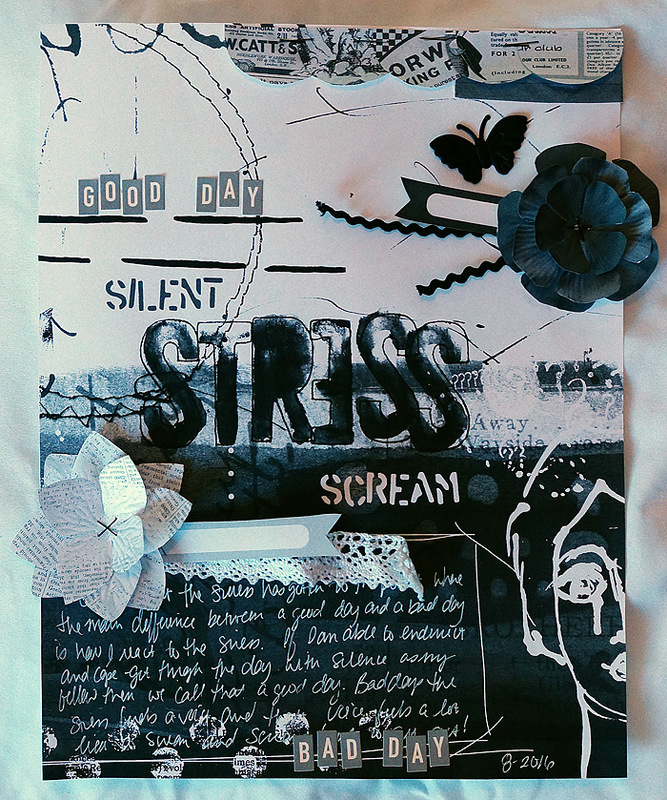 Silent Battles; we all have them and Rachel and Rubia have teamed up to bring you gorgeous themed mixed media collections to help you tell your story expressively. 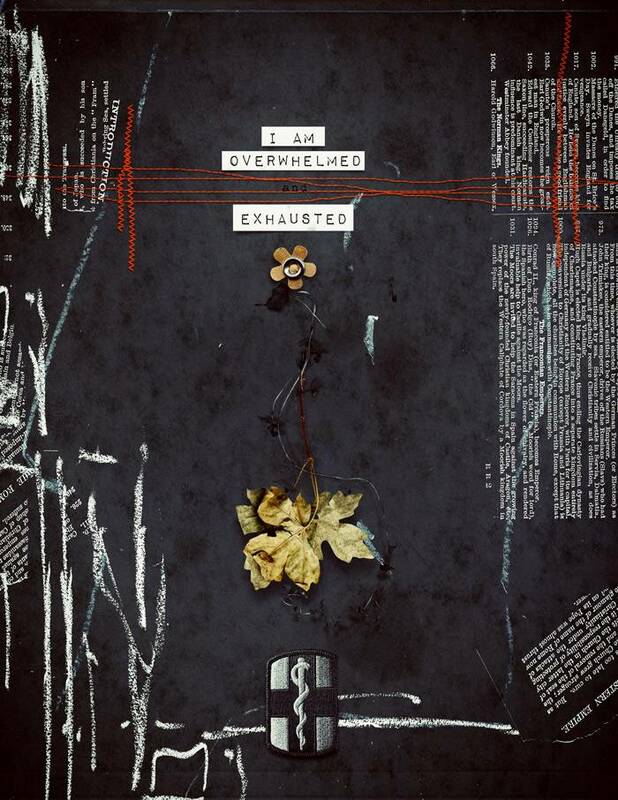 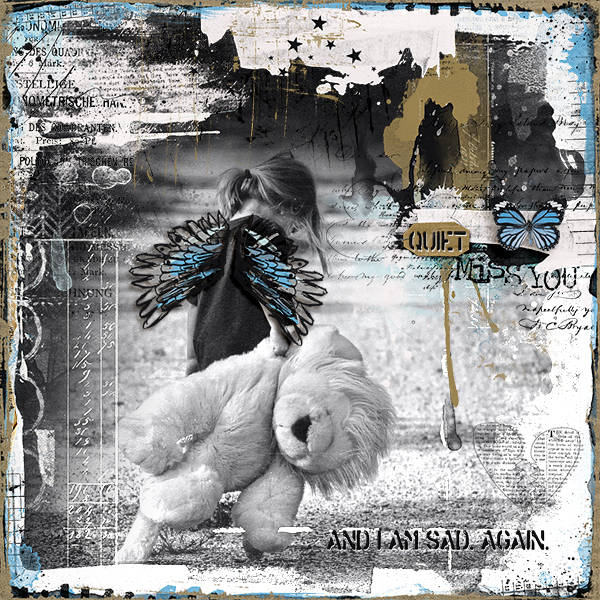 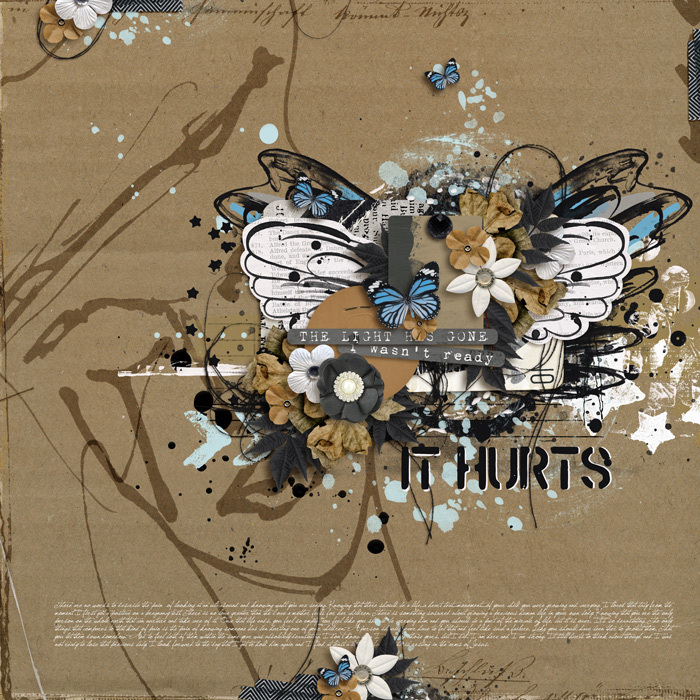 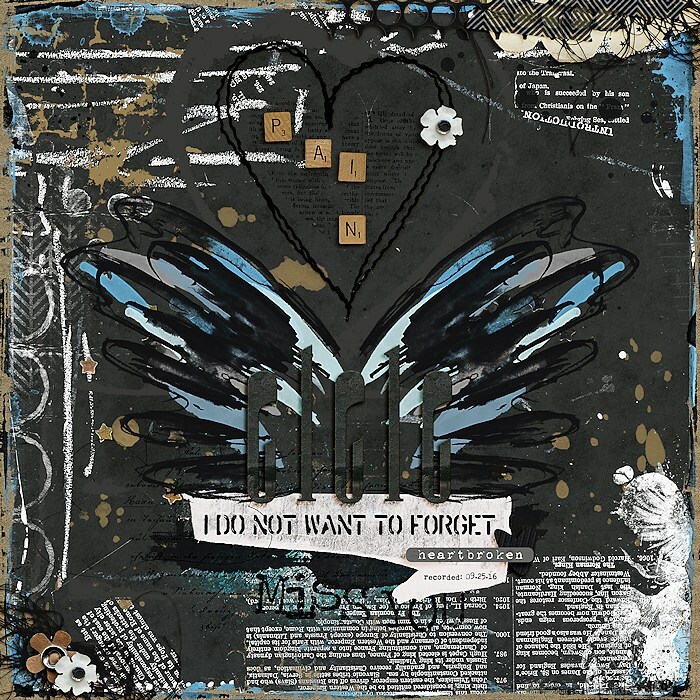 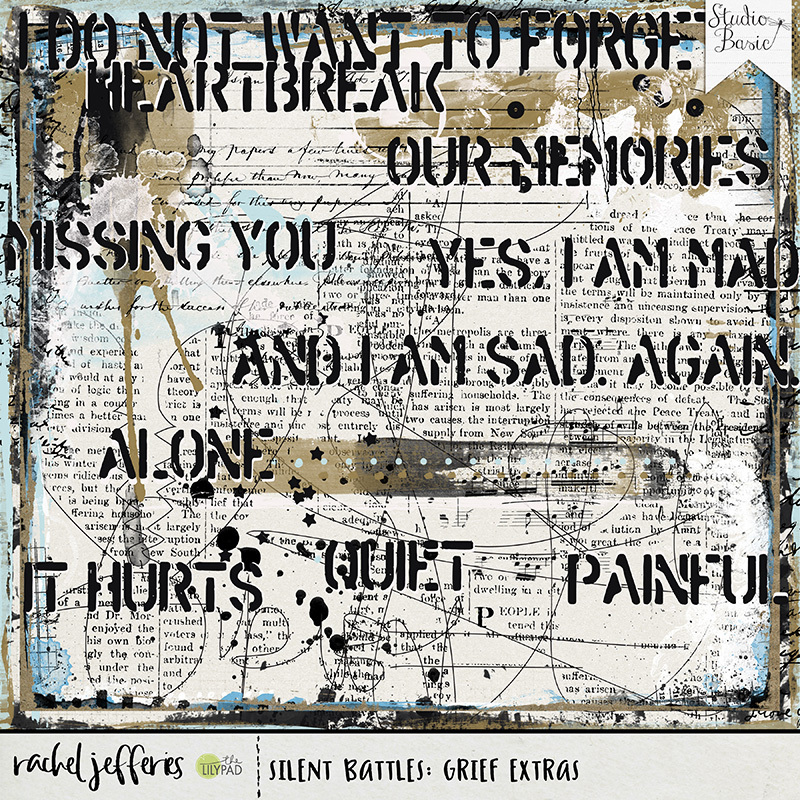 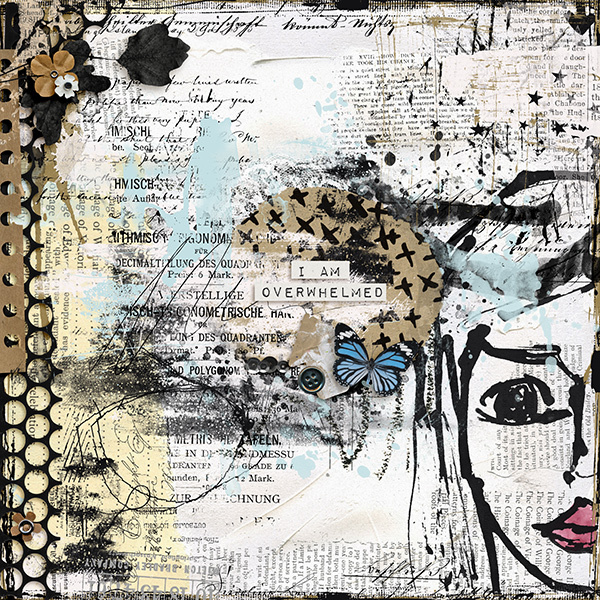 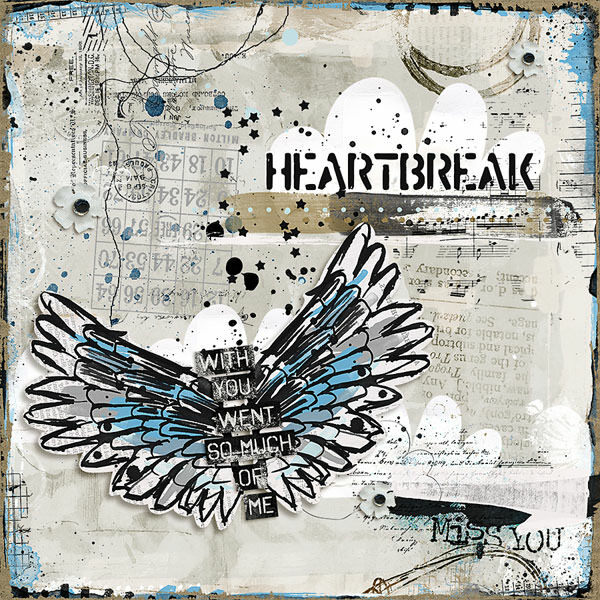 This collection is themed around grief and is packed full of artful pieces perfect for art journaling, mixed media projects and photo artistry. 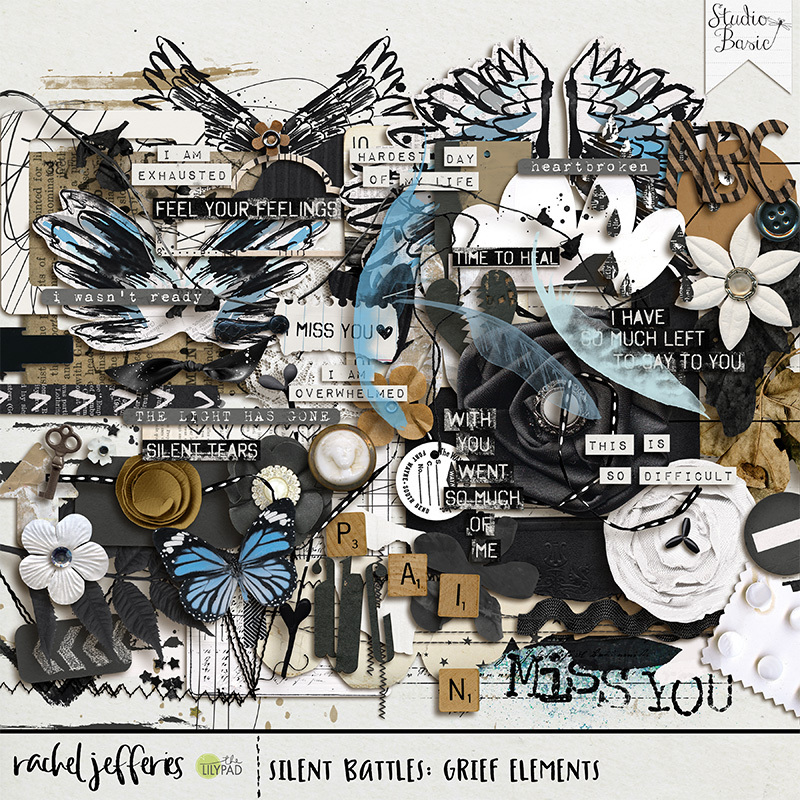 Silent Battles: Grief is a beautiful collection in striking monochrome with hints of soft blue, full of deeply meaningful sentiments, aesthetic ephemera and worn textures that will help to express your hurt, loss and pain. 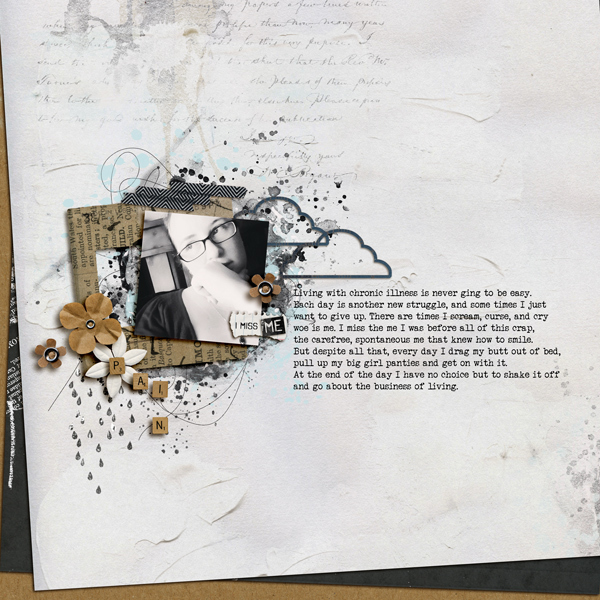 Scrapping and journaling are how we choose make ourselves heard and are our tools of self-expression. 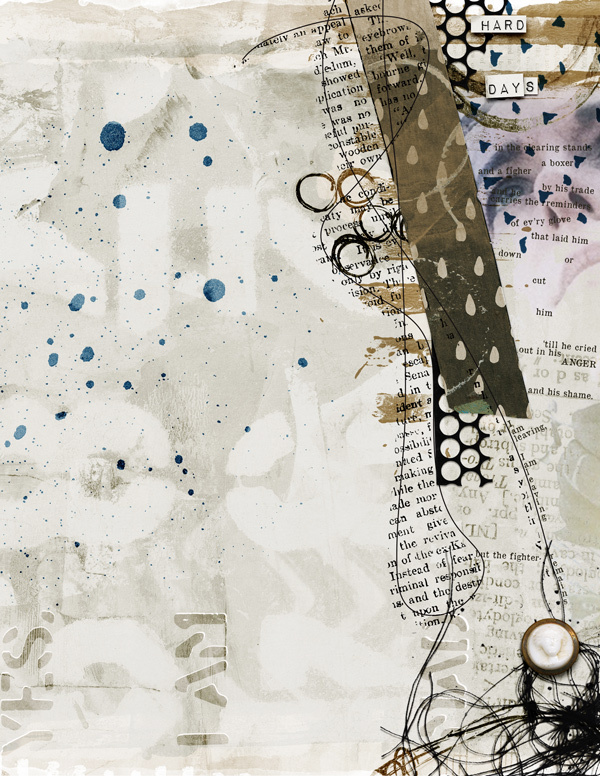 Loss and grief need to be felt and worked through, and doing this creatively has to be one of the most cathartic things we can do for ourselves. 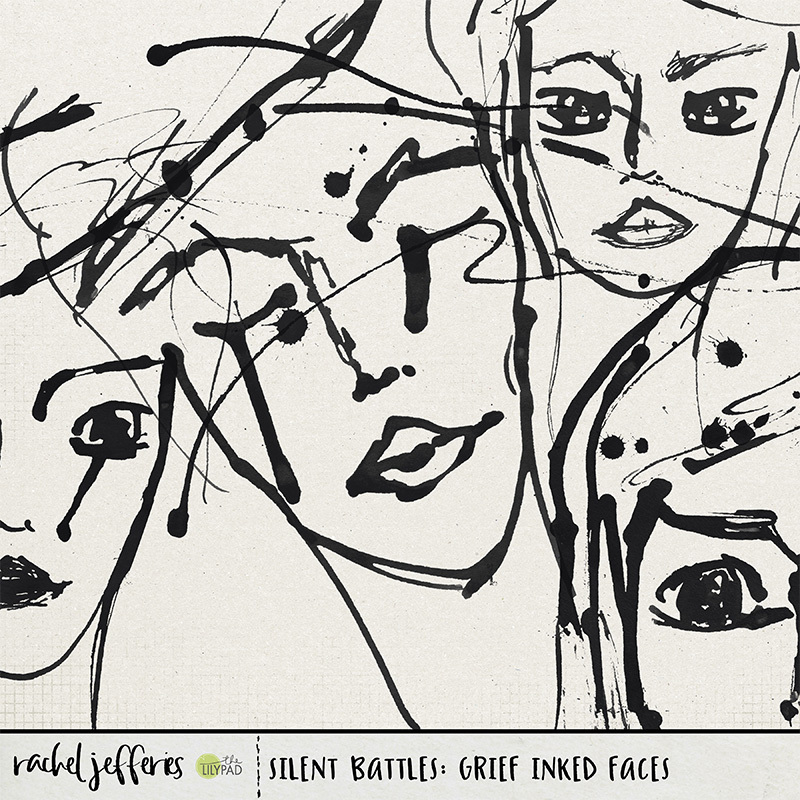 Let Silent Battles: Grief help you to tell this emotionally hard chapter of your story, and let you begin to move forward. 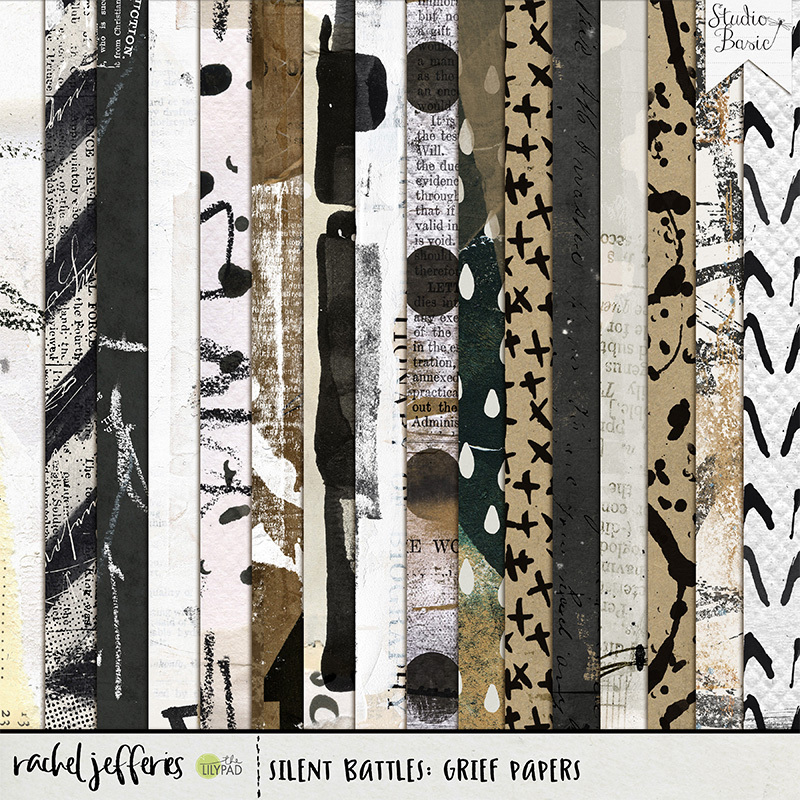 A Mixed Media Kit comprising of 16 inky patterned papers, 7 textured solids, 110 elements and 2 alphas (an long black alpha: a-z and numbers and a striped paper effect alpha: A-Z and numbers). 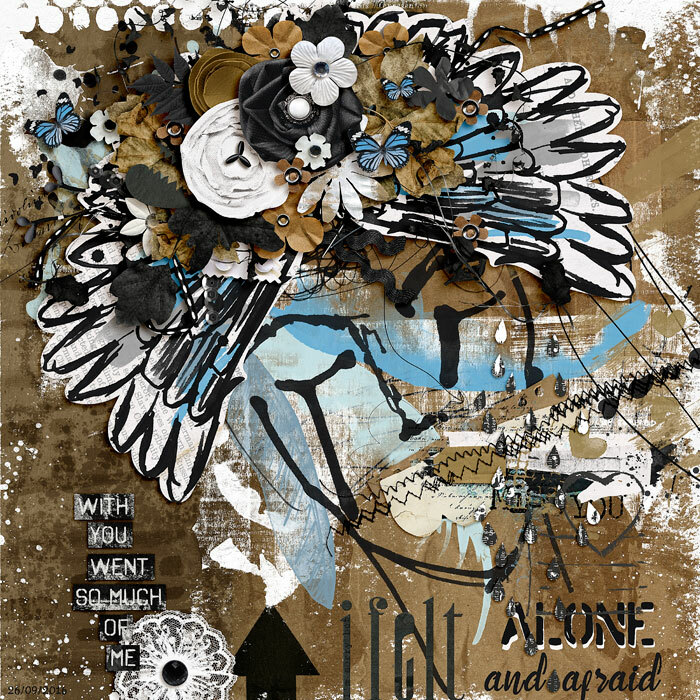 Elements and alphas are saved as individual PNG files, papers are saved in JPG format. 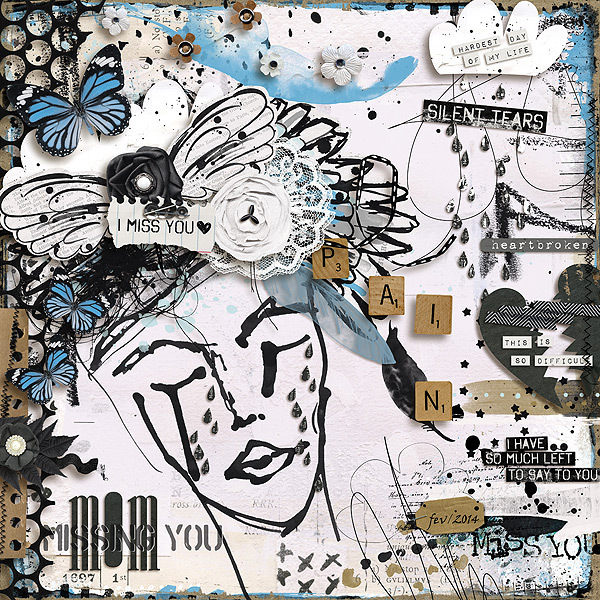 An eclectic collection of these designers signature-styled stamps, inky drawings, scribbles and more, ready for you to layer up into stunning clusters. 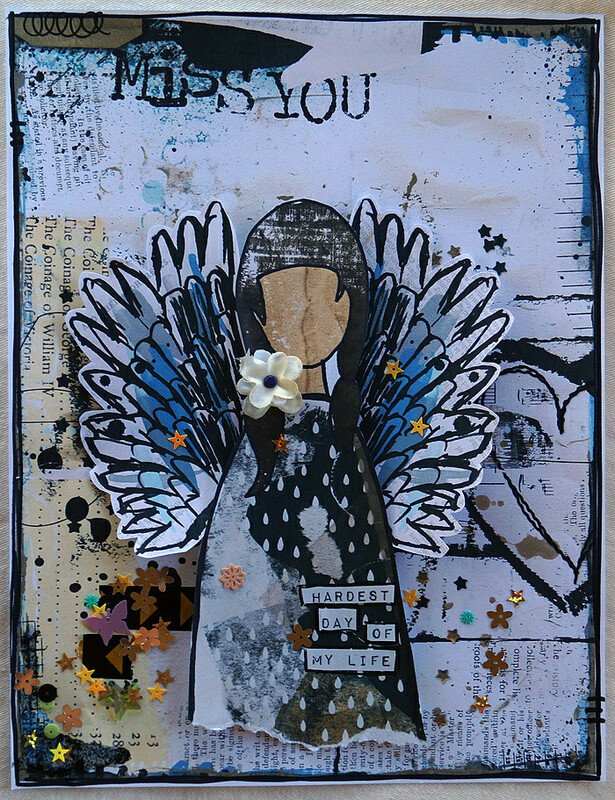 Let your individuality and emotion shine out, as you add more character and deeper feeling to your scrapbooking or journal pages. 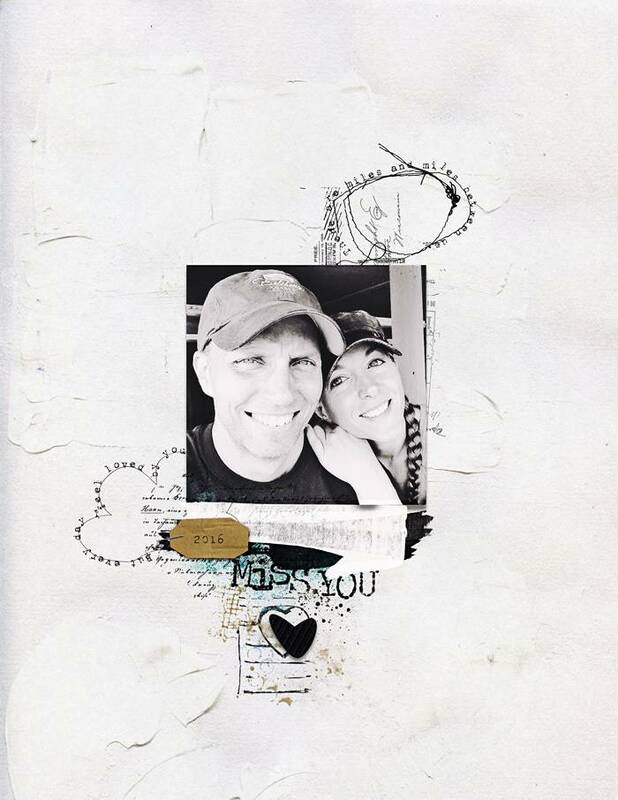 27 PNG files. 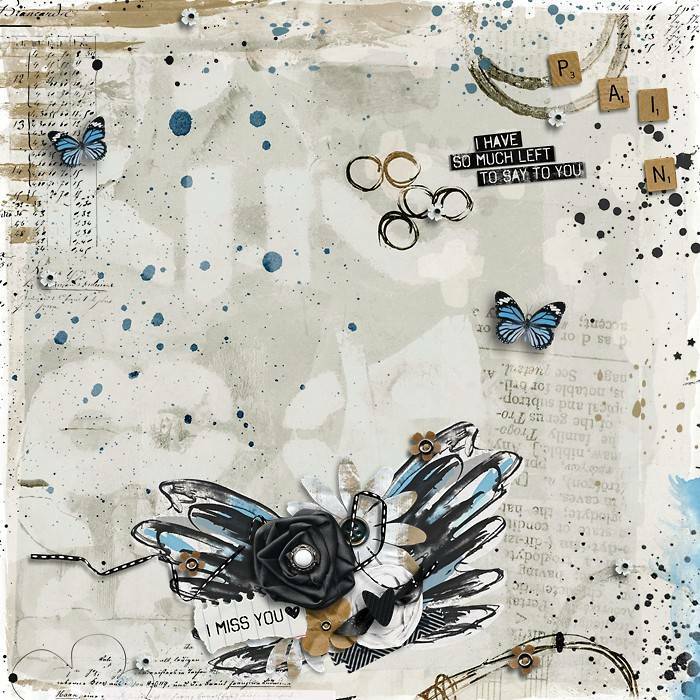 A stunning collection of Studio Basic Designs signature style messy art pack with 30 PNG elements.